As a business owner, you know how important it is to keep your commercial property in the best condition possible. The image that you present to the local community has a dramatic impact on how potential customers and clients perceive your products and services. At RVA City Painters, our experienced painters are here to help you keep your property looking its absolute best with top quality interior and exterior commercial painting in Richmond, VA.
Our commercial painting contractors seek to form long lasting and mutually beneficial relationships with all of our customers. Throughout the life of your commercial property, we will always be available for your interior and exterior painting needs. In addition, our pressure washing experts can keep your business clean at all times. 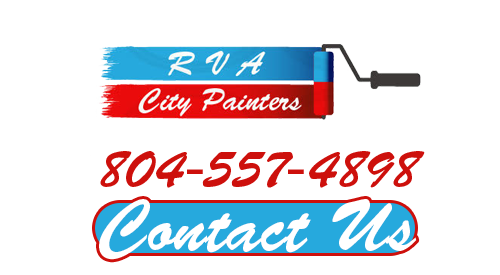 If you are planning a painting project at your Richmond commercial property, call RVA City Painters today. Our courteous and polite staff would be happy to assist you in any way that we can. We can schedule your consultation today. As with every service that we provide, our team will customize all of our efforts to your unique needs. Our commercial painters understand that you have a vision of what you want your business to look like. By staying constantly attuned to your inputs at every stage of the painting project, we can ensure that we are achieving all of your goals in the most customized fashion possible. You, your employees, and your clients are most assuredly going to be completely satisfied with the results. 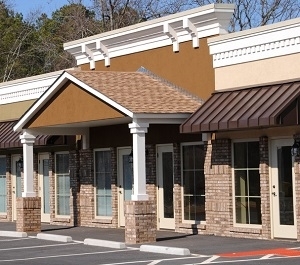 Our Richmond painting contractors can help you with any commercial painting project. We are adept at both interior and exterior commercial painting services. The one constant in all of our work is our goal to achieve our customer's complete and total satisfaction. We are honored by the fact that so many local businesses trust us with their properties. When you hire our team for commercial interior painting or commercial exterior painting, we promise to honor the trust that you show in our skill and services. We will treat our efforts as if we are performing them on our own properties. Your property will be the better for it. If you would like an estimate for commercial painting in Richmond or the surrounding areas, please call 804-557-4898 or complete our online request form.